Anthony interned at the famous Plaza Hotel in New York City. “Working in a hotel really piqued my interest in that area of the industry,” Anthony recalls. 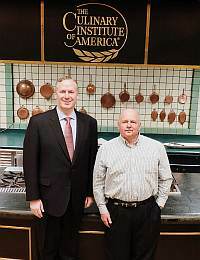 “Having multiple restaurants and banquet facilities in one place exposes you to so much diversity and requires organizational skills and finesse in dealing with both guests and staff.” Returning to campus, Anthony was asked to be on the CIA’s 1984 International Culinary Olympics team, which went on to win a silver medal. 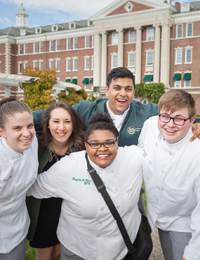 In 1985, Anthony won a spot to cook at the Sixth Annual International Sebastian Kneipp Nutritional Cooking Competition in Germany with then chef-instructor ” href=”https://www.ciachef.edu/grad-speaker-fritz-sonnenschmidt/” target=”_blank” rel=”noopener noreferrer”>CIA Heritage Professor Fritz Sonnerschmidt. He would go on to compete again in the 1988 International Culinary Olympics as a silver medalist and at the American Culinary Federation Food Show winning gold medals in 1990 and 1991. It was Mark Erickson, now Provost at the CIA, who recommended Anthony for his first position within the Hyatt Hotels organization, working under mentor Chef Rene Mettler. “At my first three Hyatt Hotels, I was part of a team responsible for 19 restaurants,” he explained. “I learned a great deal during this time and went on to help open restaurants in other Hyatts.” Anthony would remain with Hyatt for 29 years rising through the ranks of hotel operations from executive chef to food and beverage director to general manager—one of only a dozen chefs to attain a top leadership role. Anthony then moved on to be the general manager of the Westin in Washington D.C. City Center. Today, he is the executive director of food and beverage at The Yale Club of New York City. 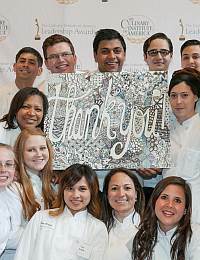 Anthony Arbeeny majored in culinary arts at The Culinary Institute of America in Hyde Park, NY. 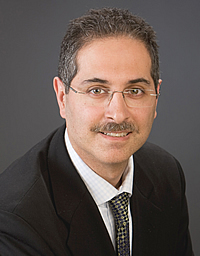 He is the executive director of food and beverage at The Yale Club of New York City.